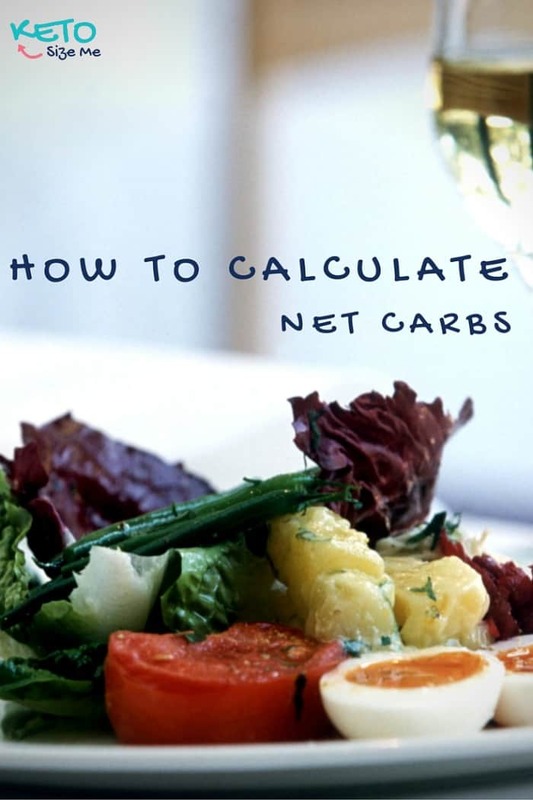 Want to know How To Figure Net Carbs? Check this out; we’re going to go in depth and teach you everything you need to know about figuring out net carbs. There is some debate amongst low carbe’rs and keto dieters everywhere about the idea of net carbs. When I first started the keto diet, I was hard-core. I didn’t care what kind of carb we were talking about I hated and avoided them all. Thankfully, I don’t live like that anymore. Initially, I considered net carbs a way to cheat and an excuse to eat whatever I wanted. It took me a few months of research to decide that net carbs were the way to go. Should I Trust Net Carbs? So what are net carbs? That’s the question I asked myself when I first started this keto lifestyle. The first time I saw the term was on an Atkins Diet Pizza box. After reading the ingredients I quickly made the assumption that net carbs were a crappy marketing tool. I was right and wrong. I’ll go ahead and tell you now that I don’t endorse any of the Atkin’s diet products. You have to be careful with prepackaged products that tout net carbs right on the box. Most of them are highly processed. If you’re trying to live a healthy lifestyle that is a step back in my opinion. I do plan to research further these premade products. I will let you know if I find even one that is good for you! So a carb is a macronutrient in your foods that the body breaks down into sugar to fuel itself throughout the day. When you consume a diet high in carbohydrates, and your body doesn’t use all of that “energy” it will store that glucose as fat. These carbs also cause insulin spikes that will cause sugar cravings, hormonal imbalances and more. So how do we figure net carbs? Well, that’s where fiber comes into play. Fiber is a carbohydrate that your body cannot digest, and unlike other carbs, it does not cause insulin spikes or increase blood sugar levels. Fiber is a great thing because it slows down the absorption of other carbohydrates in your digestive tract and helps keep blood sugar levels even, therefore, keeping insulin production at a minimum. When you eat food that is high in fiber carbohydrates, the food can take hours to be absorbed by the body instead or minutes. Take coconut flour for example. While a white flour bagel would enter the body and immediately start breaking down into sugar (glucose) to be used as energy, right now, a coconut flour muffin doesn’t do the same. Your body quickly breaks down the bagel because there are not a lot of fibers to slow down the digestion process, and you will experience insulin spikes and increased blood sugar relatively quickly. The coconut flour or berries take longer to process and release less glucose into the blood stream because of the fiber they contain. So to figure net carbs you would simply subtract the fiber carbohydrates from the total carbohydrate count. Take a look at the carbohydrates listed in blackberries for example (Source: Driscolls). You can see that the total carbohydrates count is 10 grams. Then that number is broken down into fiber and sugar both totaling 5 grams each. If you subtract the fiber, you have five net carbs. That means that only carbs you have to worry about in blackberries come from the natural sugar found in them (assuming your fruit has no sugar added). That is a pretty significant difference. Thankfully natural sugars found in foods like fruits and vegetables do not affect our bodies the same way other sugars do. It is, however, important to note that people with insulin resistance should seriously limit all forms of sugar until your body can tolerate and regulate sugar consumption in a healthy way. Back to the Atkins foods… One way keto dieters sweeten homemade treats and dishes are by using sugar alcohols, which you will also find in Atkins prepackages meals. There is, however, a small problem with this. All sugar alcohols are not created equal. Sugar alcohols do not affect the body, in the same way, regular sugar does. Some of the sugar alcohols you will find being used in Atkins products are polydextrose and sucralose. I wouldn’t recommend either of these. The effects of Splenda are starting to show in research, and the results are scary. We’re talking hormonal imbalances and brain damage among other things. I prefer to stick with sugars like Stevia, Erythritol, and Xylitol in limited moderation. I have also seen monk fruit recommended for keto dieters, but I have yet to try it or do any research on it so you can decide for yourself. If you’re following me on my journey and using my recipes, you will see that I give both counts. When I review my totals for the day, I always subtract the fiber from my carbs! Either way, if you’re even paying attention to your carb intake, you’re making better choices for your body. You know your body better than anyone so only you can make the choices that will work for you. One way to test your reactions to the different sugars we recommend is to purchase a Blood Glucose and Ketone Monitoring Device. I’m currently waiting on mine to arrive. I plan to use these sugar alcohols in my foods and then test my body’s reaction. If you have insulin resistance, I would recommend you do the same. I will then use it to check my blood after eating fruit as well. Then I will finally know what causes changes in my body and be able to plan my diet accordingly. Be sure to read the reviews before purchasing. You can read an excellent Q&A interview done on Reddit with Gary Taubes here. He talks a lot about sugars and their effects on the body. If insulin is a core contributor to fat storage, it is vital to pay attention to what causes insulin spikes in your body. The last thing you want to do is sabotage yourself by consuming foods that derail your progress or kick you out of ketosis. I won't take your advice and links as gospel. I always consult my physician. But It's better to be prepared, so I really, really appreciate the advice! Thank you for this site. I am trying so hard to stick with this low carb diet but I am so confused with the labels, especially about the net carbs. One site I went to said that you do not even subtract the fiber unless it is more than 5 grams and one site said subtract all sugar alcohols and another said only half. I do think I will take your advice and get the monitor because I feel at this point that it is the safest way to be sure after eating something you are not sure of, I have a sweet tooth which has always been my weakness so all the more reason to be sure when it comes to those sugar alcohols.. Thanks again. You have articulated carbs-net carbs better then anyone else I’ve read. The Keto diet is somewhat overwhelming as it is. Trying to reach goals while not eating meat is especially difficult. Thanks for helping. Thank you for clearing this up, I’m a relative newbie, I went from Paleo to Keto about 4 months ago. I’m still trying to figure out what works and what doesn’t, especially with the added dairy and absence of my favorite fruits and veggies. I ALWAYS use Stevia, though and Pyure brand is my fav.